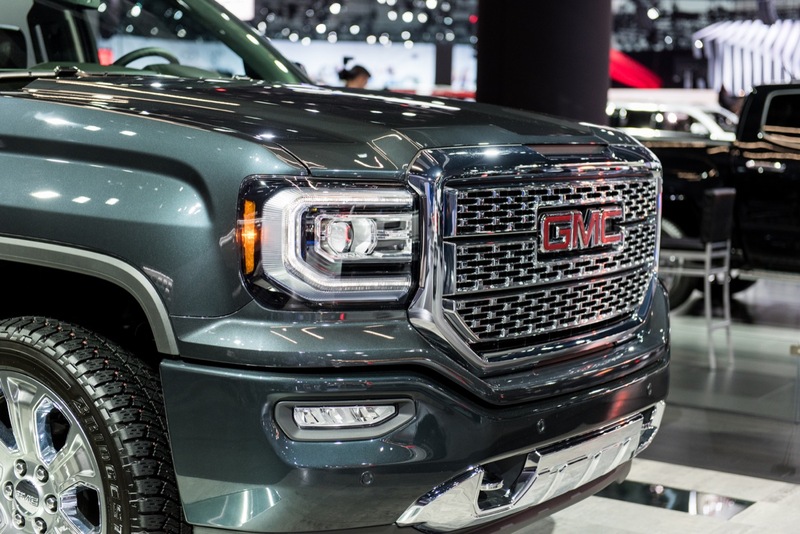 Pickup trucks are hotter than ever in the United States. No, let us rephrase that. 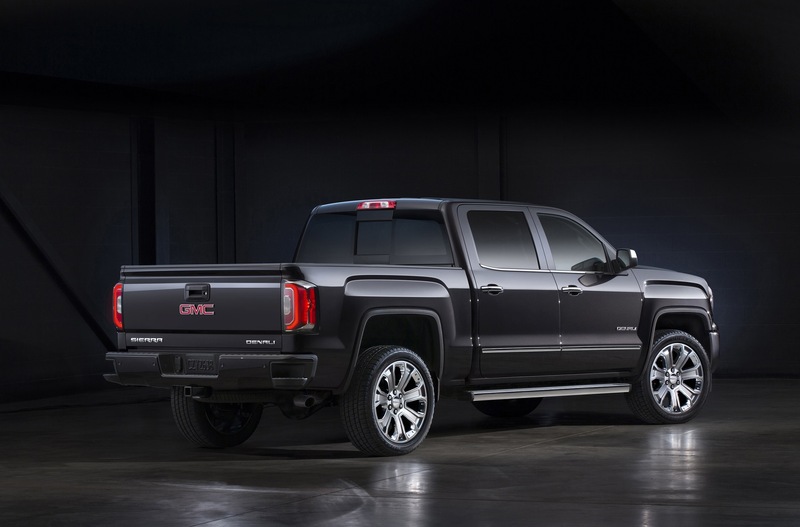 Premium, luxurious pickup trucks are some of the hottest products within the industry. 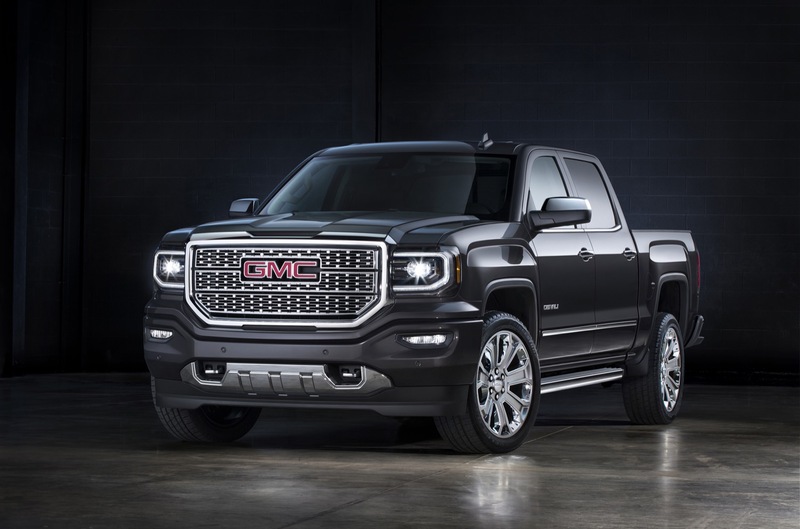 Luckily, GMC realizes this to the fullest extent, and has brought forth a solution to further the expression of its Denali sub-brand. 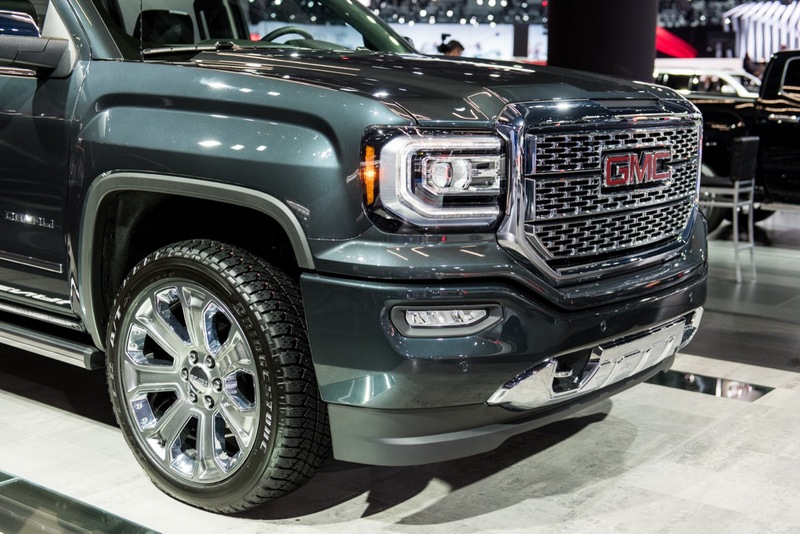 Enter the 2016 GMC Sierra Denali Ultimate. 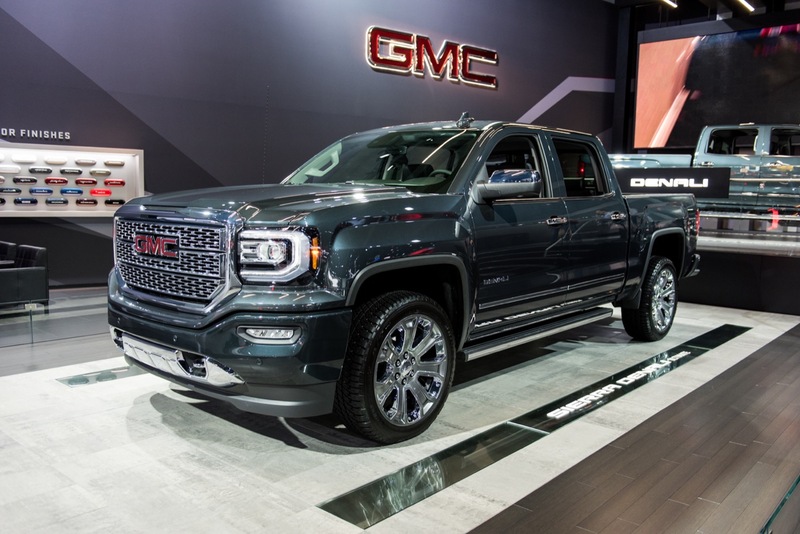 The 2016 Sierra Denali Ultimate takes everything luxury-truck buyers know and love about the Sierra Denali and seriously dials it up. 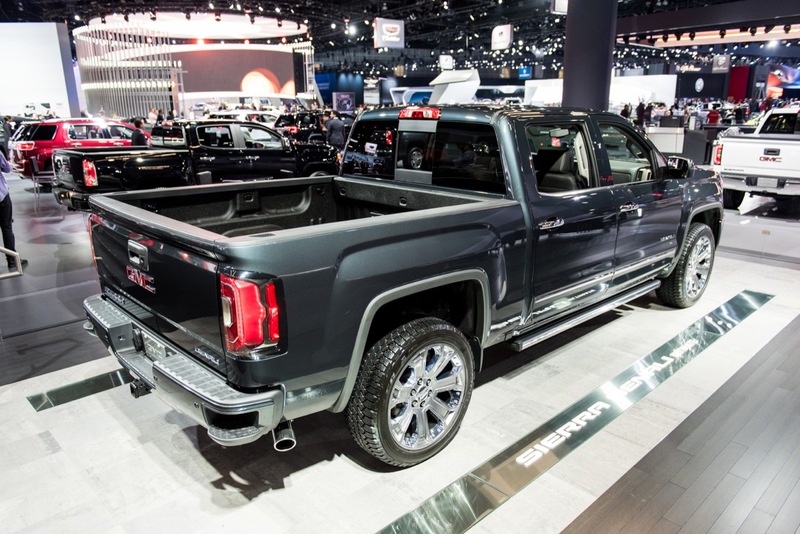 The 2016 Sierra Denali Ultimate will be offered exclusively on four-wheel drive, 1500 Crew Cab models with power coming from either a 6.2-liter V8 engine, making segment-leading 420 hp and 460 lb-ft of torque, or a 5.3-liter V8. Both engines will be mated to the new 8L90 eight-speed automatic transmission. 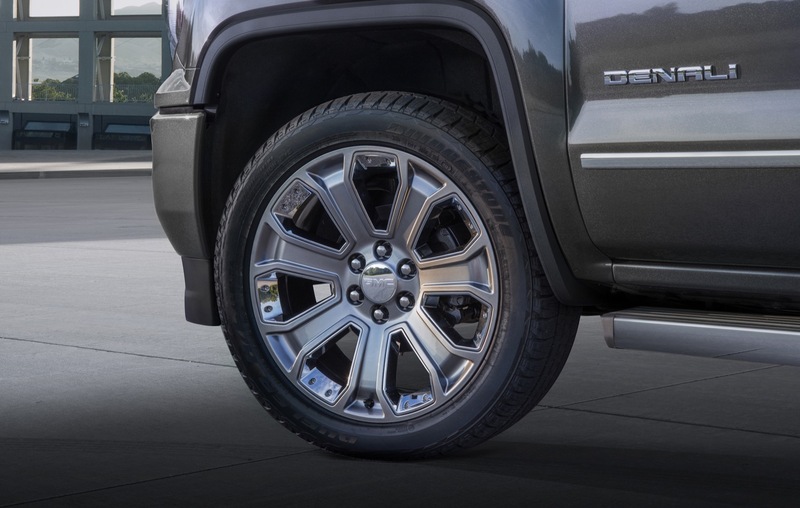 The exterior receives subtle nods of exclusivity, unless you’re staring at the massive 22-inch wheels, exclusive to the 2016 Sierra Denali Ultimate, finished in either chrome or with a black insert. Those aren’t so subtle, but do an excellent job at filling out the truck. 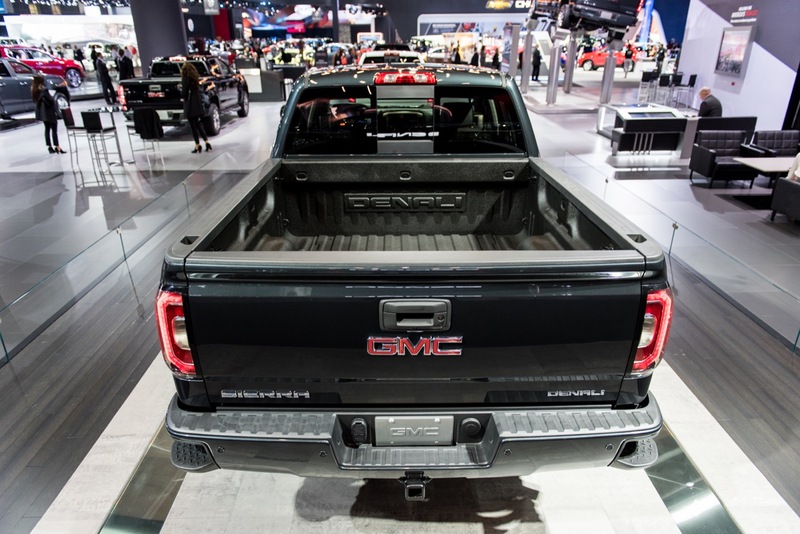 Other styling cues to complement the 2016 GMC Sierra’s refreshed face include body-color bumpers, a chrome exhaust tip, a polished stainless steel exhaust outlet and a factory-installed spray-on bed liner with a three-dimensional Denali logo. 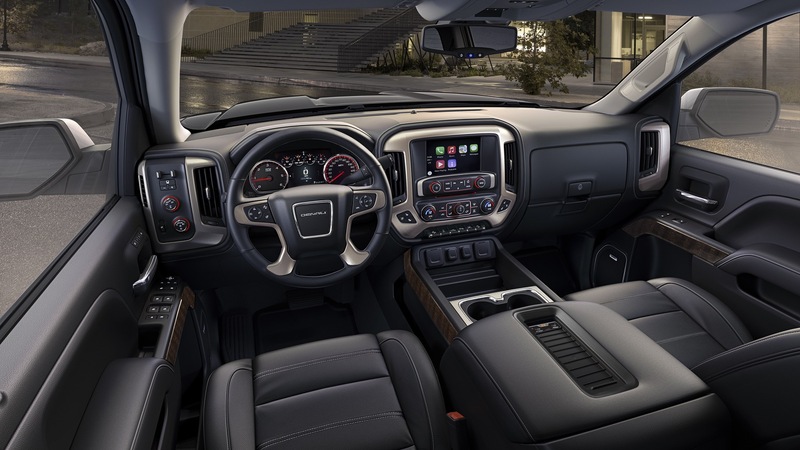 GMC has also taken to the interior of the 2016 Sierra Denali Ultimate to create the most premium experience found in a Denali vehicle yet. 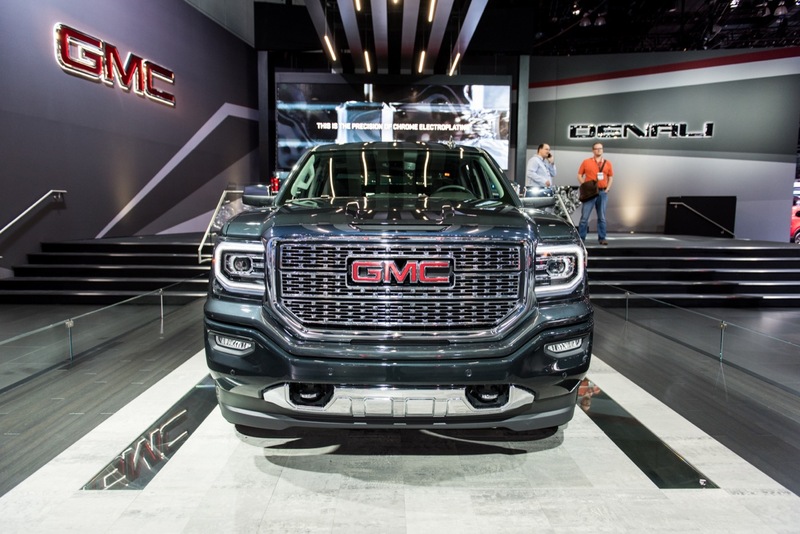 GMC has dubbed the cabin “high-tech”, as it features an eight-inch-diagonal Customizable Driver Display – with Denali-themed screen graphics at start-up – and a standard eight-inch-diagonal Color Touch navigation radio with IntelliLink and Apple CarPlay and Android Auto capability. Premium leather-bucket seats, which are heated and ventilated, are complimented by aluminum interior trim and tasteful contrasted stitching throughout the cabin. And, on those chilled mornings, a heated steering wheels serves to keep things comfortable. Rear-vision camera with dynamic guidelines. An integrated trailer brake comes standard, allowing the driver to adjust the amount of output available to the electric trailer brake and to manually apply the brakes, plus General Motors’ magnificent Magnetic Ride Control keeps things comfortable at all times, reading road surfaces and adapting in as little as five milliseconds. 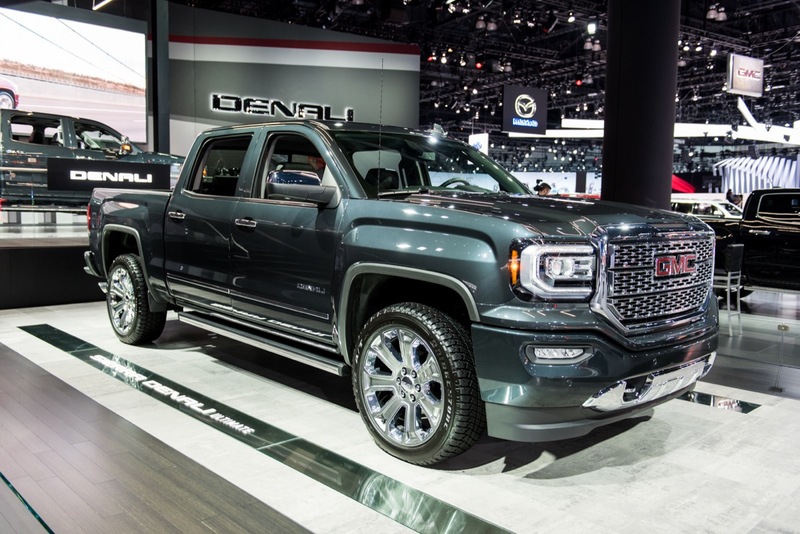 The GMC Denali brand has helped push transaction prices for past $55,000, and allowed the brand to grasp onto 15.5-percent of the coveted luxury-truck market. 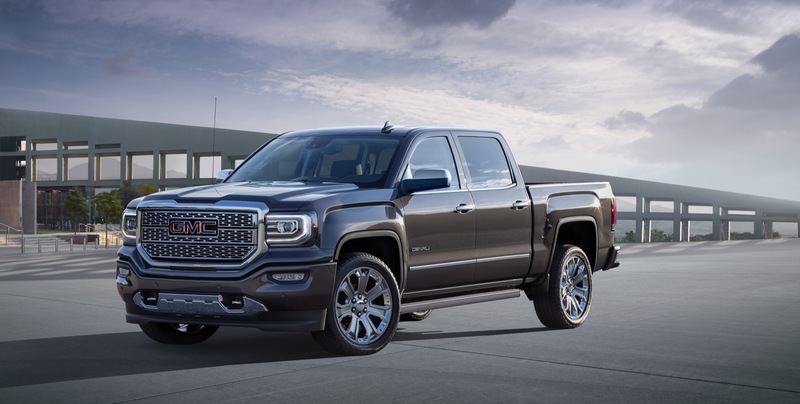 With the 2016 GMC Sierra Denali Ultimate, you bet those numbers are guaranteed to grow. I wouldn’t call this a Denali Ultimate, more Denali with 22’s and a 6.2L. Any dealer could order this on its own. Not a package. Needs HVAC seats, not only heating element but cooling and vents. HUD. Split panoramic roof (sunroof front, glass panel rear). Frameless rearview mirror. Grab handle on driver A-pillar. Option of 2 buckets in the rear instead of standard bench. Right on with the pano roof! GM lags nearly everyone in incorporating glass roof features. Power running boards aren’t standard? This is what GMC should be about. So the ultimate package is literally nothing extra? In stead of clicking 5 or 6 option boxes you click one called ultimate? They really need to do something to one up lower trim trucks. Add rear heated bucket seats, better sound system (or at least a half decent sub, not the 6″ one they have now. 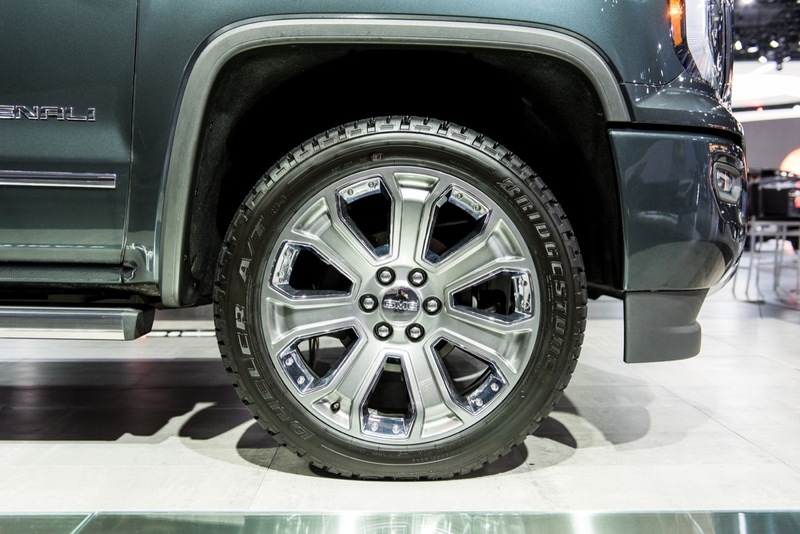 22″ wheels just seem like its gonna have a worse ride. I’m a chevy fan and I like the new trucks but they haven’t seem to do anything real exciting lately. Direct injection is cool but what else have they done that other havent? Ford went turbo charged, all aluminum, added a crazy camera package that has some nifty features. Ram went linked rear suspension with coils / air ride, released a 1500 diesel that gets 29mpg, have decent sub, they already have heated rear bucket seats as a option. I would really like to see chevy offer a new performance “SS” truck. 2 or 4 wheel drive, low stance, meaty tires, 6.2l with maybe a sporty exhaust, special front bumper, wheels, and few new emblems. Also a offroad oriented one. One that actually sits a inch or so higher and has a size bigger tires. Add some more aggressive wheels, higher clearance air dam / bumper, maybe a clinometer / gps tracking app for offroading. for the 2/3500’s factory air adjustable rear suspension might be a nice add on to offer. Also I know in real world testing the duramax is neck and neck with the cummins and powerstroke but on paper its falling a fair bit behind. It would be nice to see them up the numbers. I know just a change in tune would easily put them closer to or ahead of the competition. Hopefully in year or two (hopefully not 3) the next gen duramax will be out. Hopefully it one ups the competition pretty good and not just meets the competition. If I go buy a new truck my instinct is to go Chevy but with all the advances the competition has made and the price of these new trucks I would have to look good and hard at all makes before deciding.